If you know and love the mission of the Nursery and have a desire to provide care to our littlest ones and their families in times of crisis, won’t you join me in designating all or part of an IRA to Crisis Nursery? Ann Beddini retired from the University of Illinois Office of Development in 2010. She served on the Crisis Nursery board for six years and also served as the Interim Director of Development for the Nursery from June 2010 until September 2011. She currently serves as a Community Member on the Nursery’s Development Committee. She and her husband Joe Duchene reside in Champaign. They love travelling and spending time with her children and grandchildren. I am leaving money to Crisis Nursery in my estate, but I am not leaving any money to Crisis Nursery in my will. For me, leaving money to the Nursery in my will would be too complicated, too messy and pose too many tax consequences. My plan for giving is simple, clean and understandable--AND insures all the intended funds go directly to the Nursery, which is just what I want. I am not wealthy, but it’s very important for me to leave some of my assets to those less fortunate in my community. When deciding which organizations I wanted to support through planned giving I considered supporting the following: (1) organizations that directly help local citizens, (2) organizations that mean a lot to the Champaign-Urbana community and (3) organizations that mean a lot to me. Crisis Nursery was at the top of my list! 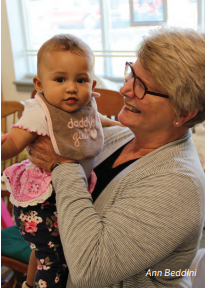 I have been a consistent donor for some time; I was fortunate enough to serve on the Nursery board for six wonderful years; and I came to understand that many in our community are desperately in need of emergency child care and parenting support. Crisis Nursery was the organization I wanted to support with my planned giving. My simple solution to leave funds to Crisis Nursery was through an IRA (a tax-deferred annuity). With the help of my professional financial planner, we selected an IRA with the necessary funds to help support my personal passions and we designated Crisis Nursery as the beneficiary of the account. It was that easy and I can rest easy knowing Crisis Nursery will not pay any income tax on my gift. A planned gift is the ultimate gift a donor can give to Crisis Nursery. And the easiest planned gift of all is a simple bequest. We are grateful to our donors who have remembered the Nursery in this way, and to those that are making plans to do so. A bequest not only contributes significantly to the Nursery’s long-term financial well-being, but helps us ensure our commitment to preventing child abuse and neglect in our community. Naming Crisis Nursery in your will is not difficult, and you can designate any amount or remainder interest you wish. Every bequest to Crisis Nursery, regardless of size, has a real impact. 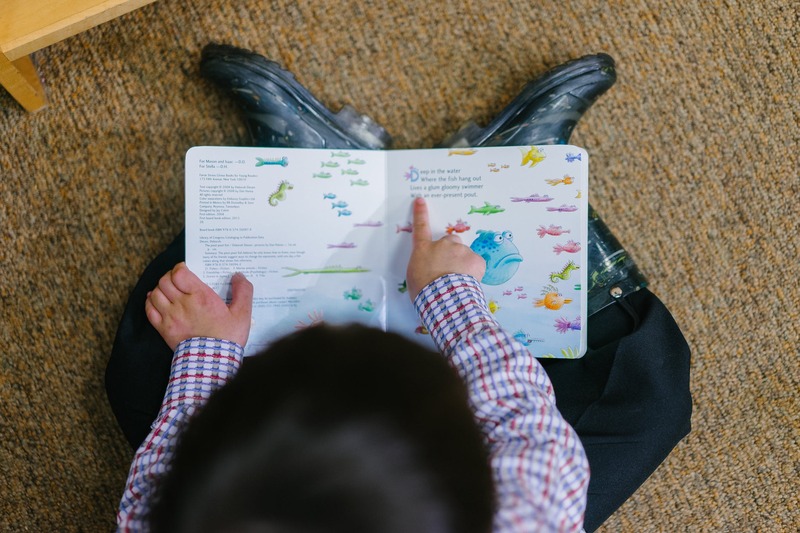 No matter which stage of life, how much financial wealth, or what family situation you have, including a specific amount or a certain percentage of your estate to the Nursery helps protect the little ones who are unable to protect themselves. Please consider Crisis Nursery when planning or updating your will. Always consult with your attorney or financial adviser for the best option for your personal circumstances and wishes. The proper wording when specifying Crisis Nursery is: The Crisis Nursery, a not-for-profit corporation located in Urbana, Illinois.